Create a perfect playground for your kids with vinyl swing sets from Pleasant View Structures. 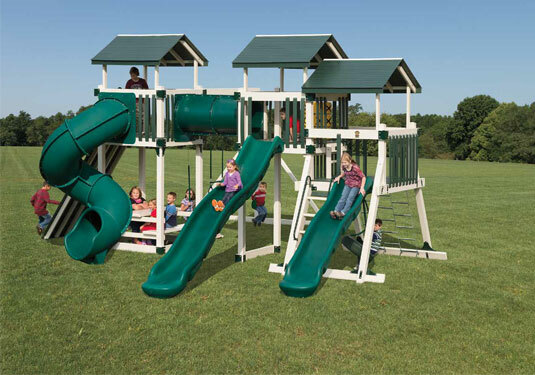 We offer a wide selection of fun, colorful, high-quality Adventure World Playsets. 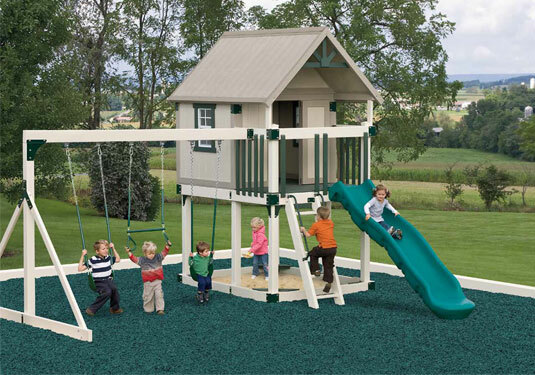 These durable vinyl swing sets and playsets can be easily customized and tailored to your unique needs. Whether you have a spacious yard or something cozier, you'll have no trouble finding a set that's perfect for your family. You're welcome to choose from more than 20 standard vinyl swing sets or playsets, or you may customize your own selection. Either way, you definitely won't be getting something ordinary. And you don't have to make a choice between a swing set or playset – you can enjoy the best of both worlds! 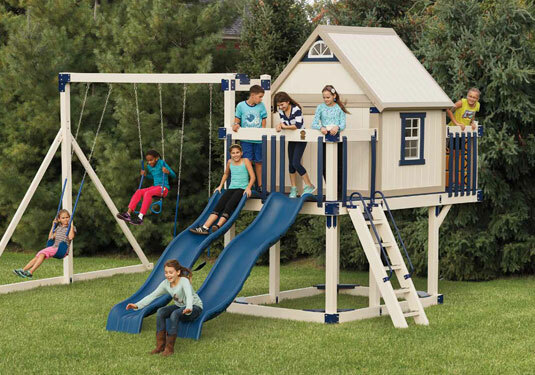 As you browse, you'll find playsets that also include traditional swing sets or tire swings. These maintenance-free, completely safe vinyl swing sets and playsets come with an assortment of accessories designed to make your backyard play area even more kid-friendly and inviting. Options with accessories and customized playsets features include rock walls, ladders, mats and curbing, rubber mulch, sandboxes, monkey bars, and sliding boards. Treat your family to a top-notch vinyl swing set or playset from Pleasant View Structures. Contact us today to make a selection and arrange for delivery and setup.